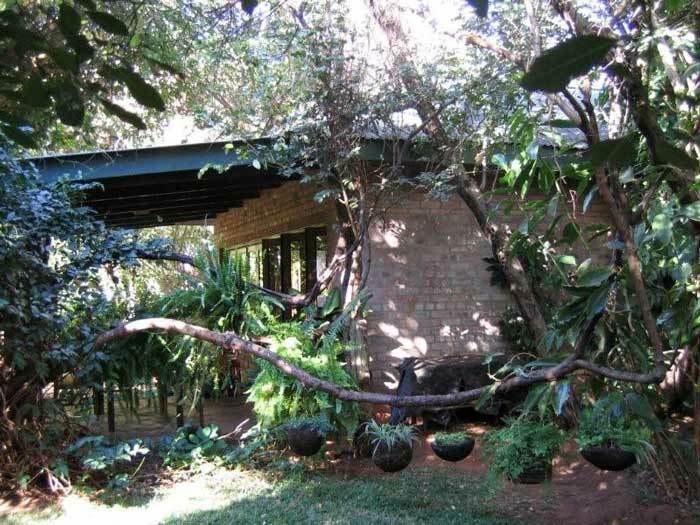 This lovely family Victoria Falls home was built in 1996/97. 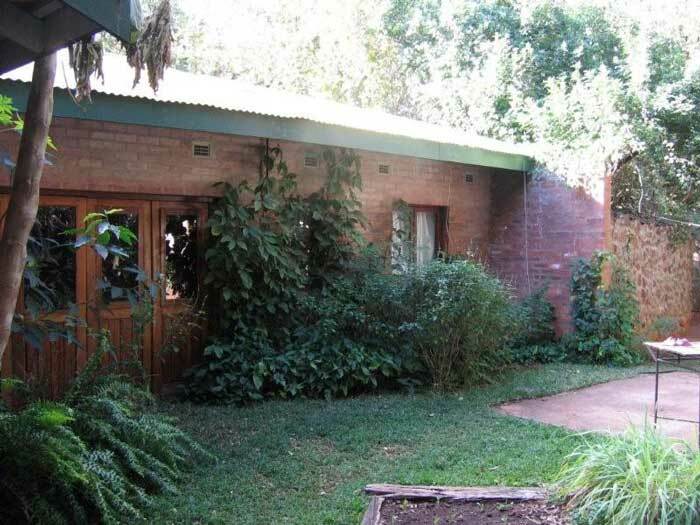 It is face brick under corrugated iron construction, and overall the house is in good condition and needs very little doing to it. 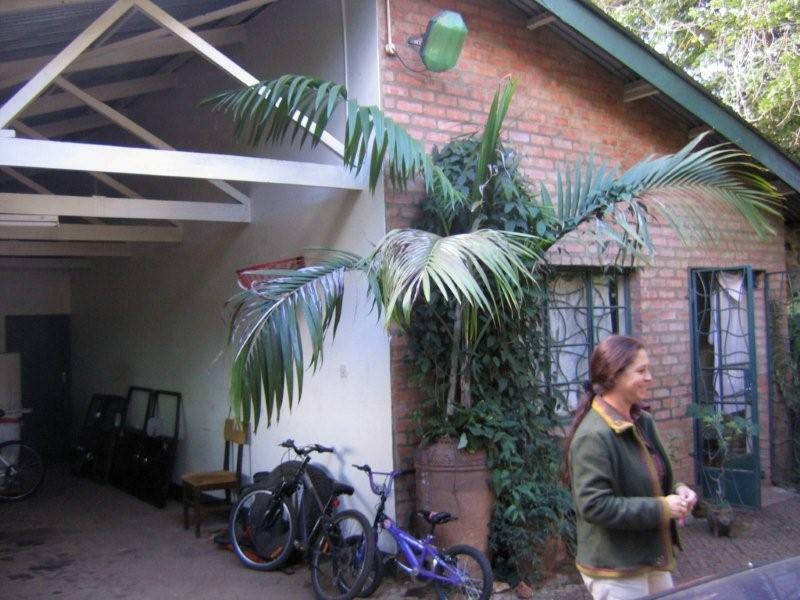 The property is set in the low density residential area of Victoria Falls and is only a 5 minute drive from the Falls themselves, in a beautiful tropical garden, full of bird and small animal life. The house has three bedrooms. The main bedroom has en-suite bath and beautiful feature outdoor shower enclosed with a stone wall. 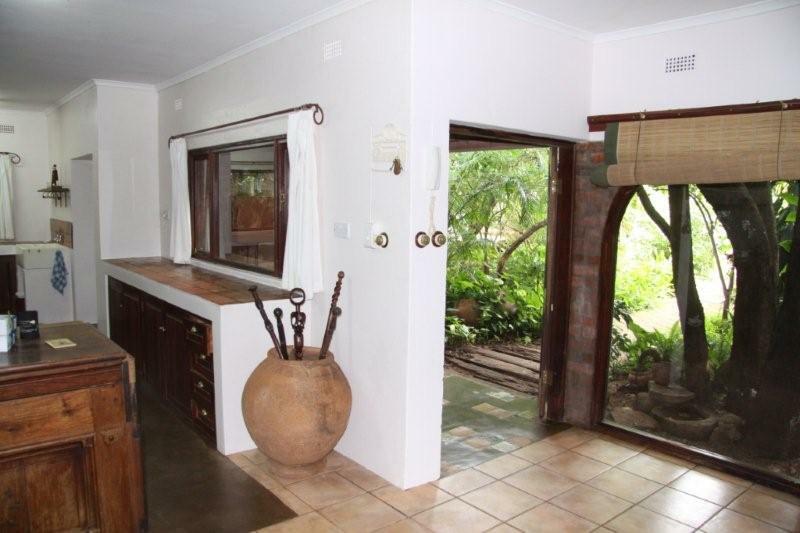 It also has a large walk-in cupboard and ample built in cupboards as well as a direct access to the garden. The other two bedrooms share a second bathroom which has bath, shower and hand basin, this bathroom also serves as the guest bathroom for visitors. The third bedroom was originally used as an office and has a huge built-in Chubb safe, suitable for guns, documents or any other bulky items needing safekeeping. 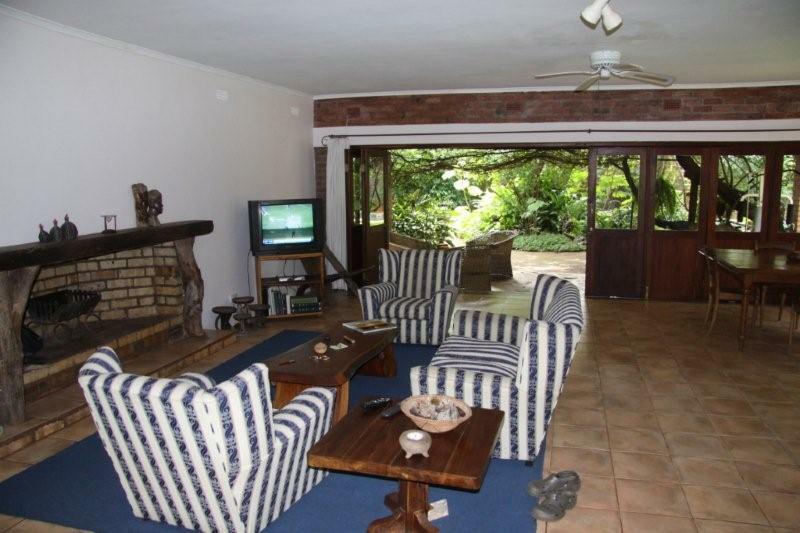 The kitchen and lounge and dining area are all open plan, very popular these days and an ideal area for entertaining. 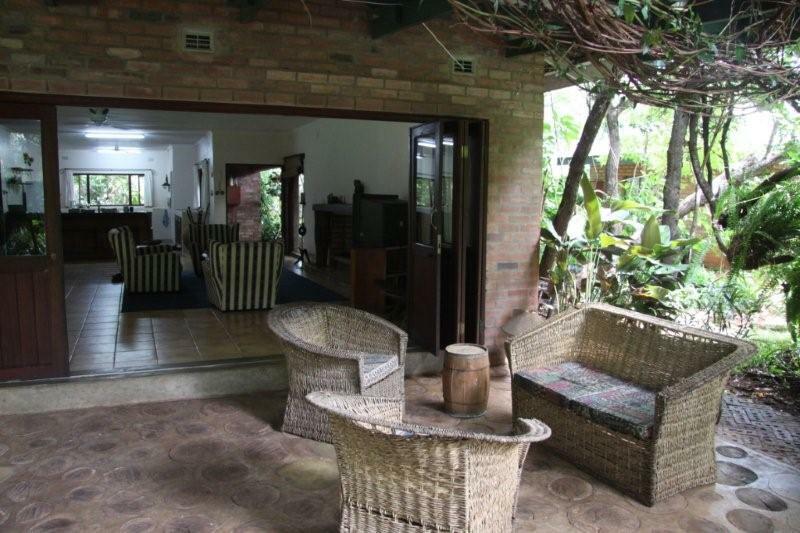 From here a seven metre span concertina door opens out to the veranda. There is a scullery off the kitchen. 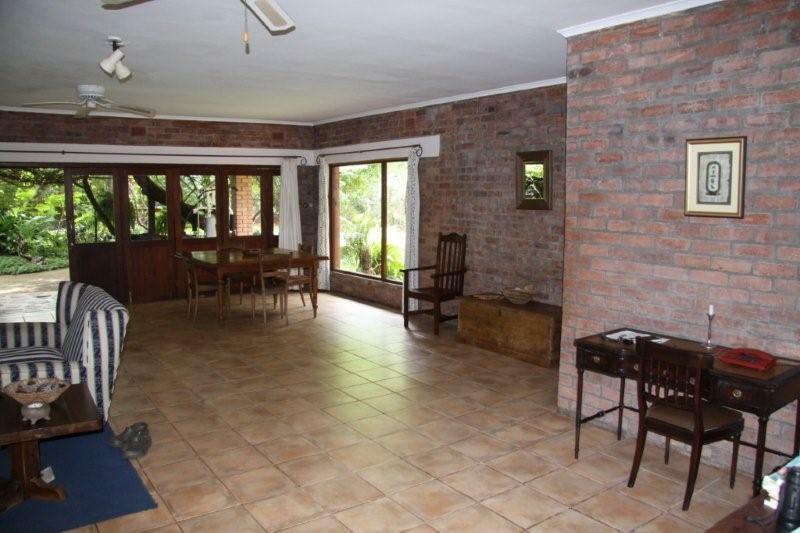 The entire house is fitted with hand built hardwood window frames, as are the kitchen cupboards. 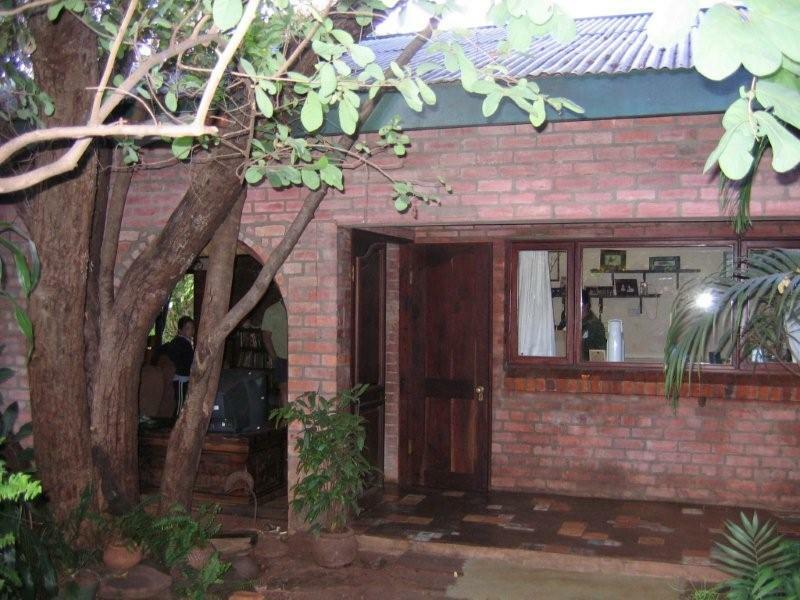 A separate cottage has two rooms and a bathroom with shower and loo. This serves well as a guest cottage or as a small office. The cottage has its own phone line and power meter. 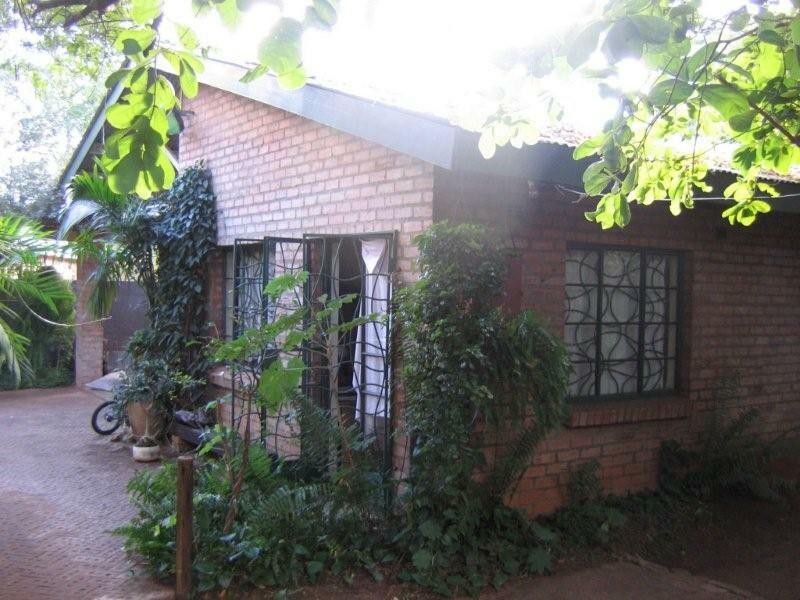 The cottage can easily be let to provide extra monthly income. Under the same roof is a car port with a vehicle inspection pit and store room. The ceiling overhead the rooms has been reinforced to create very useful attic storage space, accessed from the garage. 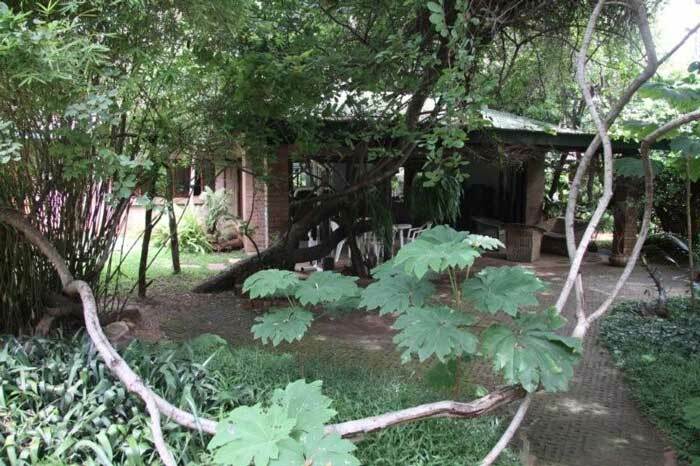 The gardens are well established with a tropical jungle feel, most of the indigenous trees were retained when the house was built. 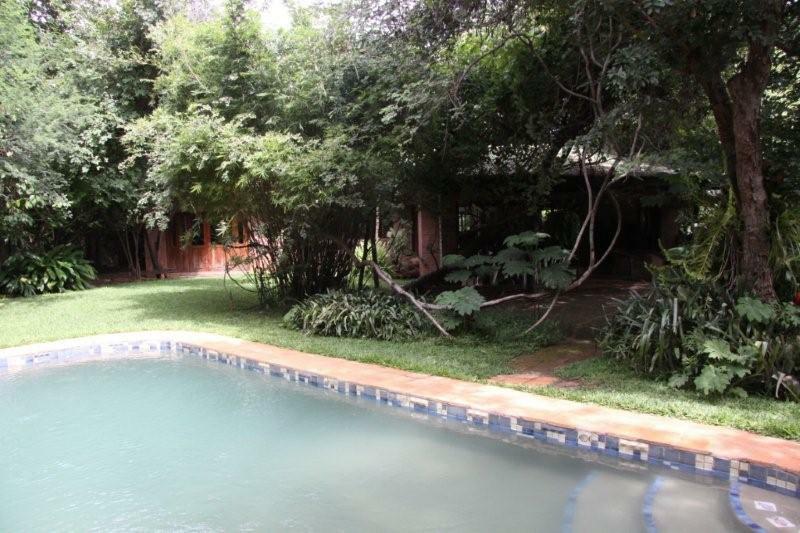 A hand built salt chlorinated swimming pool was installed. 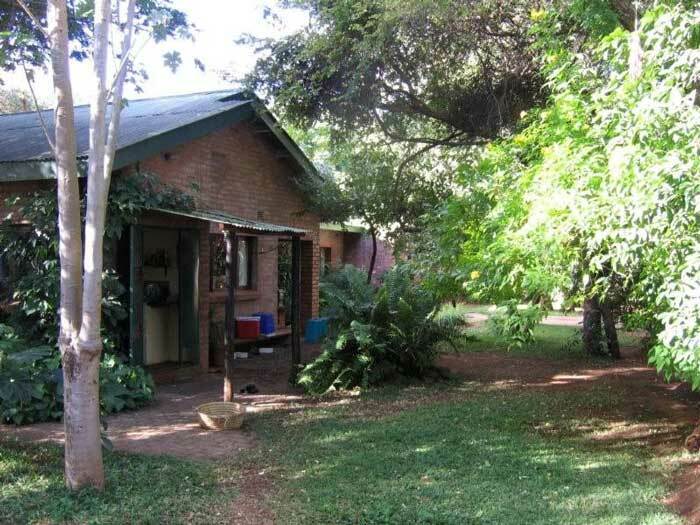 There is a separate staff toilet and shower and a small “wetland” pond with indigenous fish. 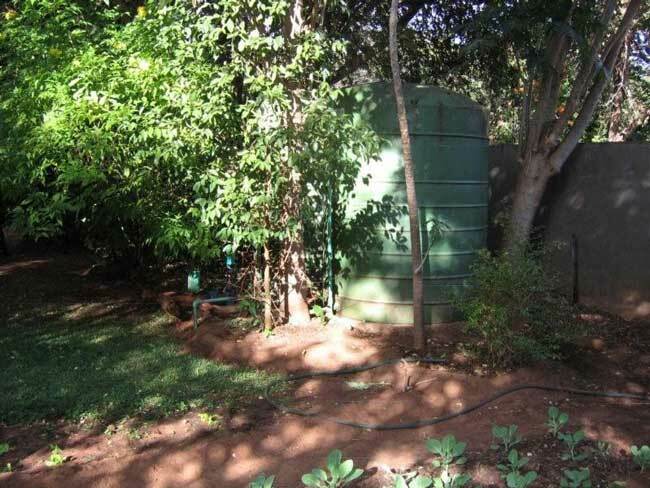 It also benefits from having large outside water tanks, The municipal water supply is often irregular, but here you will never be left without water. 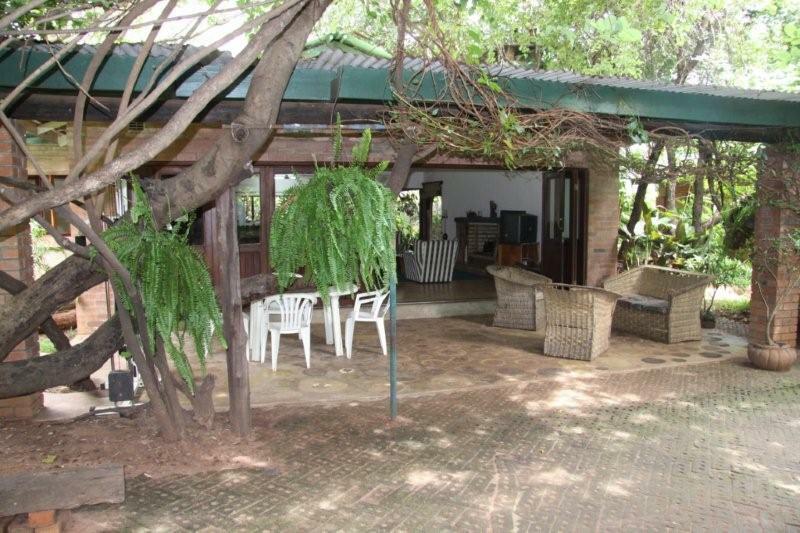 The property is 50m x 40m (2000 square metres) equivalent to half an acre, a fairly typical plot size in urban Vic Falls. There is a breeze block wall around the whole plot, topped with electric fence and equipped with an electric gate.